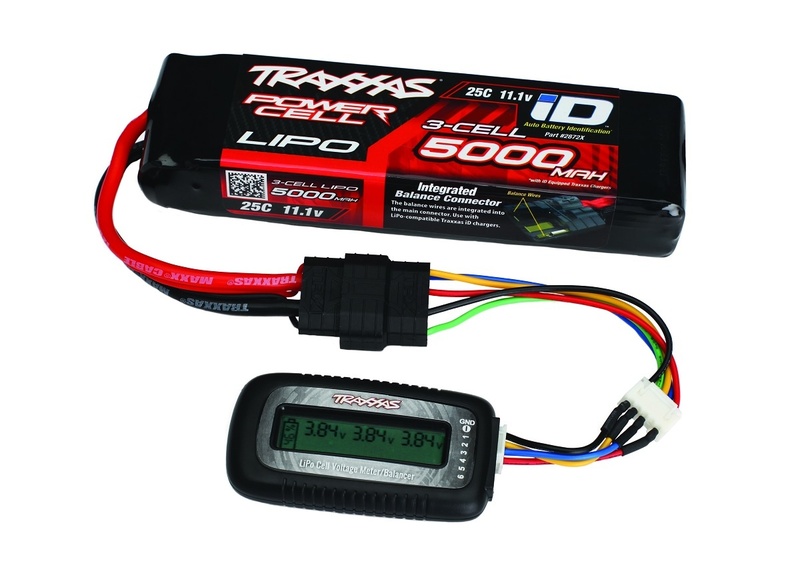 The Traxxas LiPo Cell Voltage Checker/Balancer connects to Traxxas LiPo batteries using the included balance lead adapters. 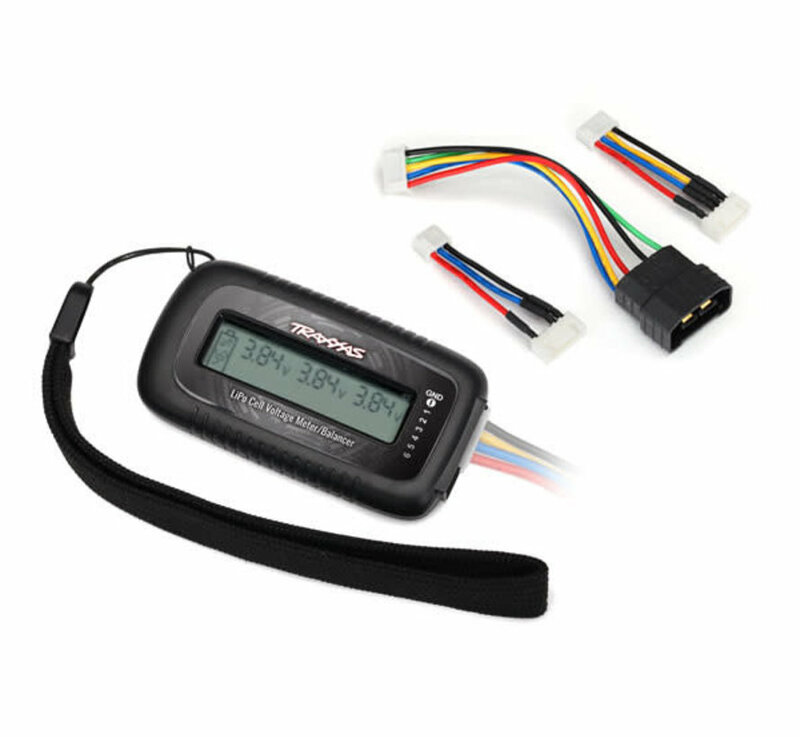 Use the LiPo battery checker to view individual LiPo cell voltages and overall battery charge in the field without a charger. 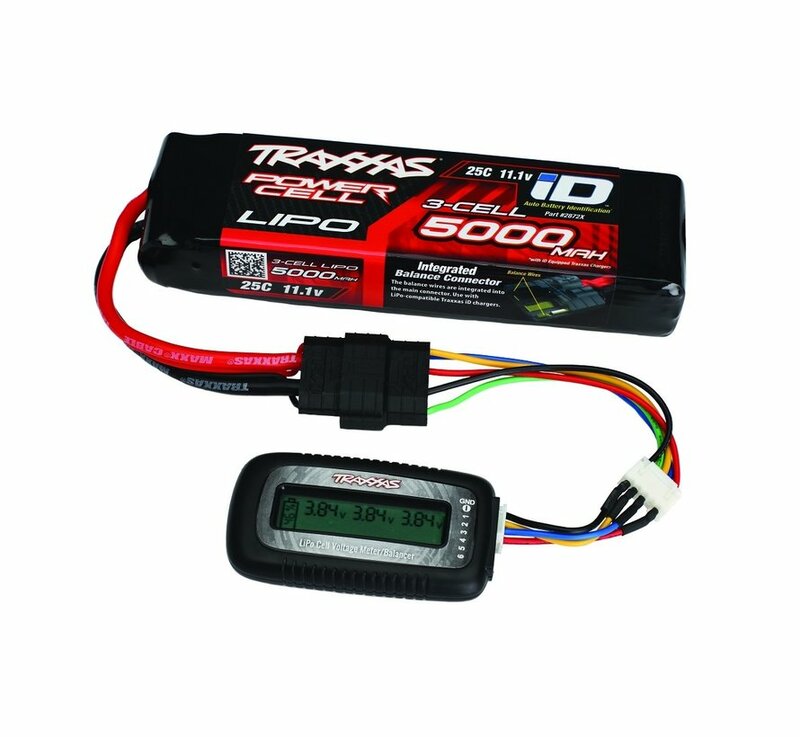 The battery cell checker works with 2, 3, and 4-cell Traxxas LiPo batteries and alerts you when a battery cell is out of balance. 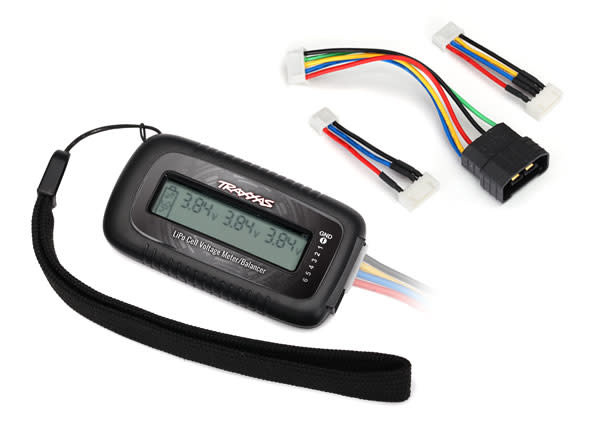 A voltage balance function equalizes individual cell voltages to keep your LiPo battery in good condition. NOTE: Do not attempt to use the battery adapters for charging or any purpose other than adapting Traxxas iD batteries to the cell voltage checker.